Something a little different on the blog today. From S.R. 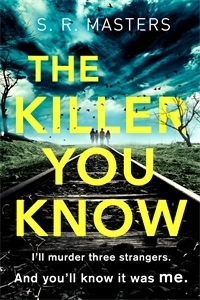 Masters’ The Killer You Know, a week-long hunt for a killer. Can you guess whodunnit? I’ll murder three strangers. And you’ll know it was me. That way we’ll all be connected. Always. Five Friends, One Killer – is it Adeline? The teen punk done good, she’s turned the rage and cynicism she felt growing up in the dull village of Blythe into a keen critical eye that has won her many fans on her successful film podcast, Nostalgia Crush. Yet while she has no problems spying the flaws in her favourite old movies, why when it comes to the adult reunion of the gang from Blythe is she suddenly keen to take part? Or is Adeline perhaps hiding something? Has she come home to finish something that should have been concluded many years ago? 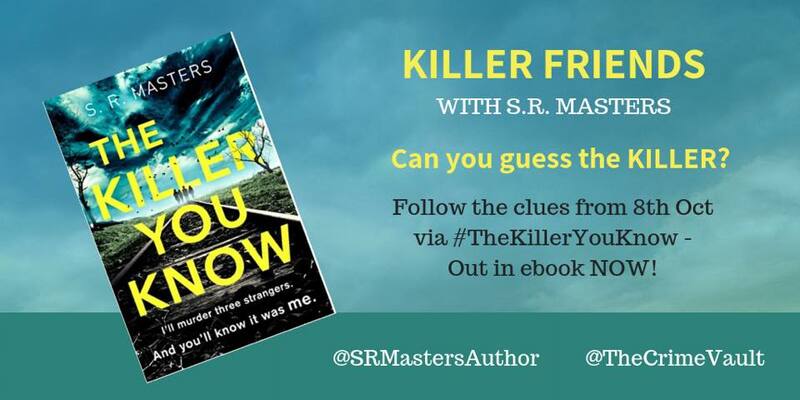 Visit Liz at Liz Loves Books tomorrow to find out about the next killer friend and tweet your best guess and reason using hashtag #TheKillerYouKnow on Friday to be in with a chance to win a copy of the book.